"Quick, easy, and gluten-free recipe in less than 1 hour. 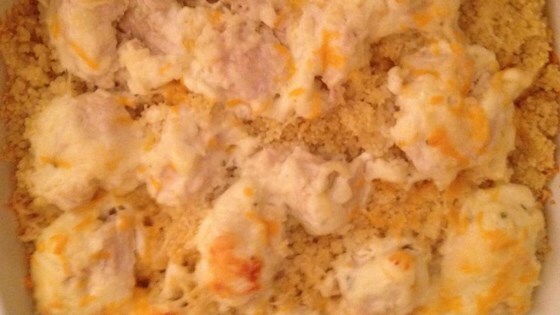 This is a modified version of the original mayo chicken recipe on this site." Whisk mayonnaise, garlic, rosemary, salt, and black pepper together in a bowl. Spread mayonnaise mixture evenly over each piece of chicken. Spread rice out into the bottom of a 9x13-inch baking dish. Pour water over rice. Place chicken pieces on top of rice and top with Parmesan cheese. Bake in the preheated oven until chicken breasts are no longer pink in the center and the juices run clear, 35 to 45 minutes. An instant-read thermometer inserted into the center should read at least 165 degrees F (74 degrees C). I'm not a rice lover, so just did the chicken and served it w/Knorr's pasta. Duke's mayo gives it a nice flavor and keeps it moist.